What Does Code P0710 Mean? 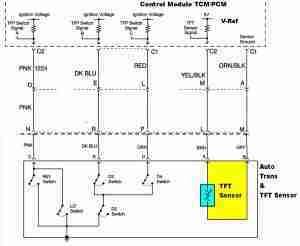 The TFT (transmission fluid temperature) sensor is part of the automatic transmission fluid pressure (TFP) manual valve position switch and is a thermistor that changes value based on temperature. The TFT is an NTC (negative-temperature coefficient), which means that as the temperature increases, the resistance decreases, and as the temperature decreases, the resistance increases. The PCM (powertrain control module) supplies a 5-volt reference signal to the sensor and measures the voltage drop in the circuit. When the transmission fluid is cold, the sensor resistance is high and the PCM detects high signal voltage. As the fluid temperature warms to a normal operating temperature, the resistance becomes less and the signal voltage decreases. 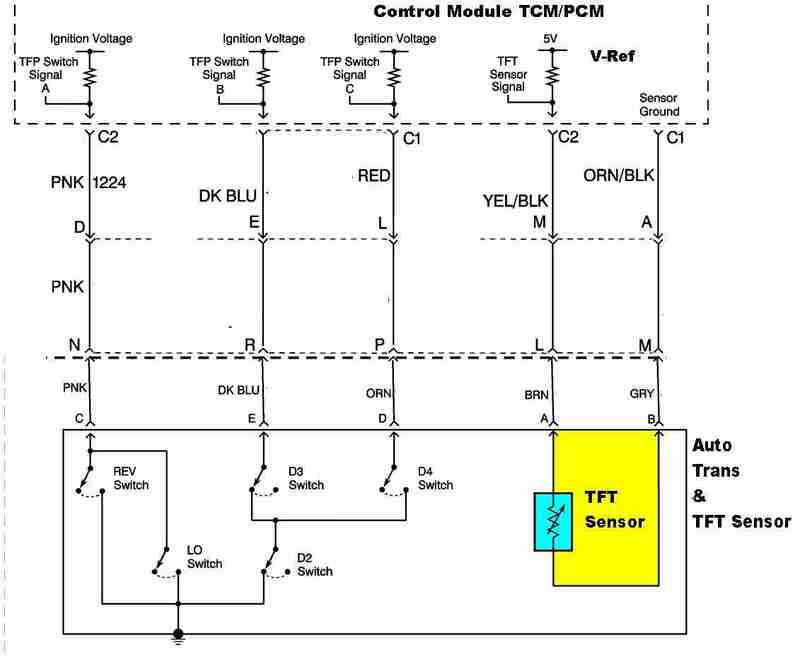 This sensor is used by the PCM or TCM to detect the temperature of the automatic transmission fluid. This signal is used to determine the best shift points and to regulate line pressure. It will cause the control module (PCM or TCM) to engage the TCC (torque converter clutch) sooner and disable overdrive, to help reduce the fluid temperature if it reaches higher than normal. When the control module (PCM or TCM) detects one of the following unusual conditions, then DTC P0710 sets. What are the common causes of code P0710 ? What are the symptoms of code P0710 ? DTCs P0117, P0118 P0112, P0113, P0502 or P0503, and P1870. None found. Ask a question about P0710. I have a Fault Code of PO710 on a 2010 Fiat Ducato Semi Automatic gearbox, the engine size is 3.0ltr diesel. Could you please tell me where the Sensor is located?